This 14,000 sq. 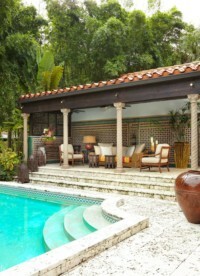 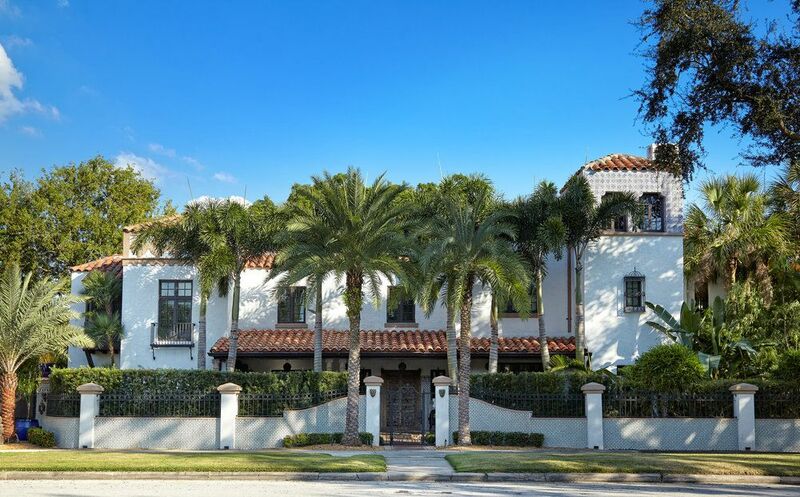 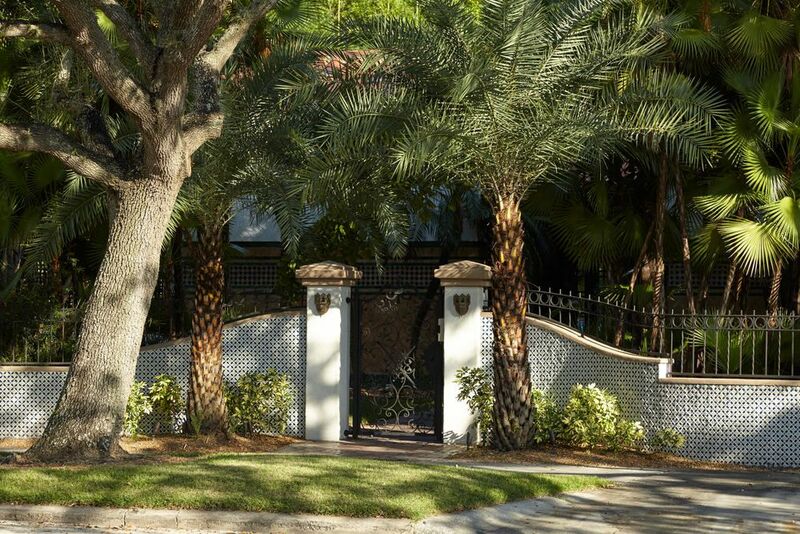 foot home, located on DAVIS ISLAND IN TAMPA, FLORIDA, started out as a Spanish Colonial Revival. 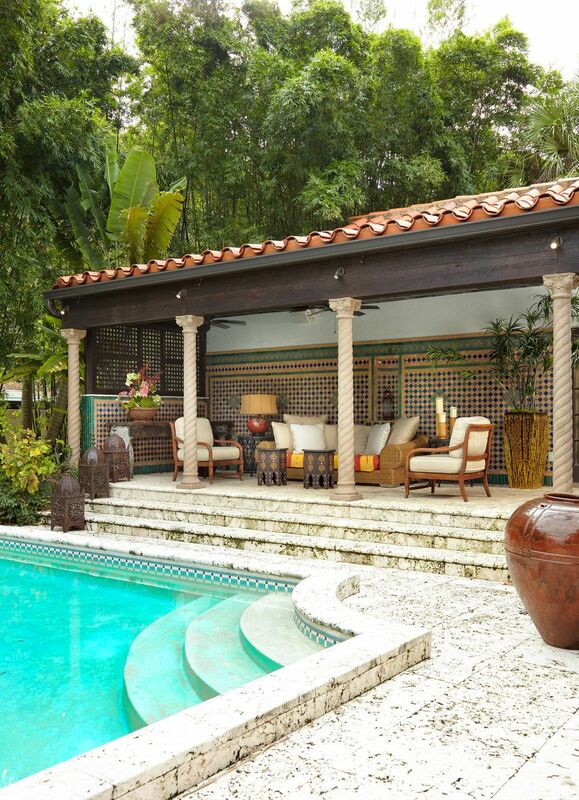 After several unfortunate remodels and the removal of original materials, the only option was to strip it down to its bones. 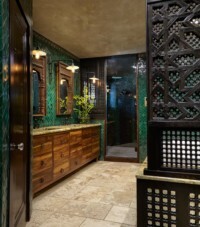 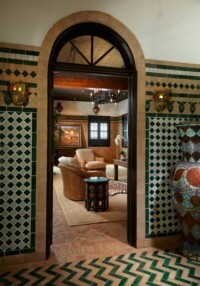 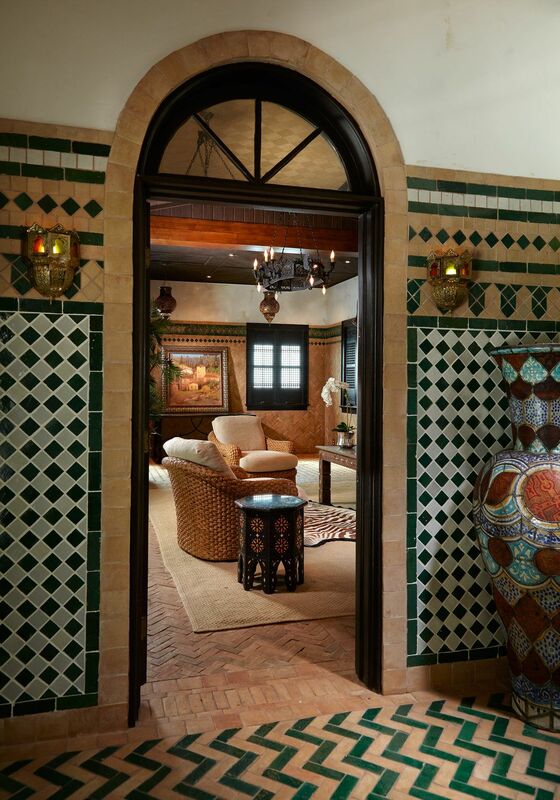 Authentic materials were then re-introduced and used extensively on the exterior and interior to both unify the design and create a lavish and layered Spanish/Moorish fusion. 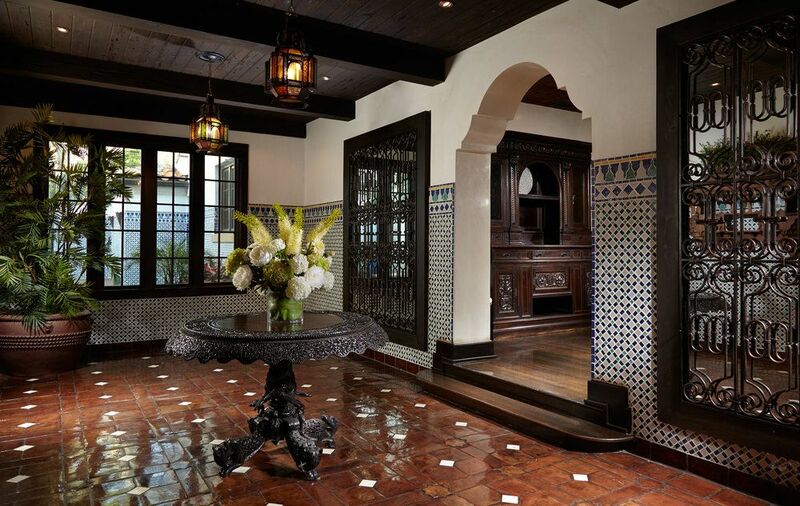 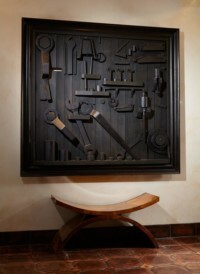 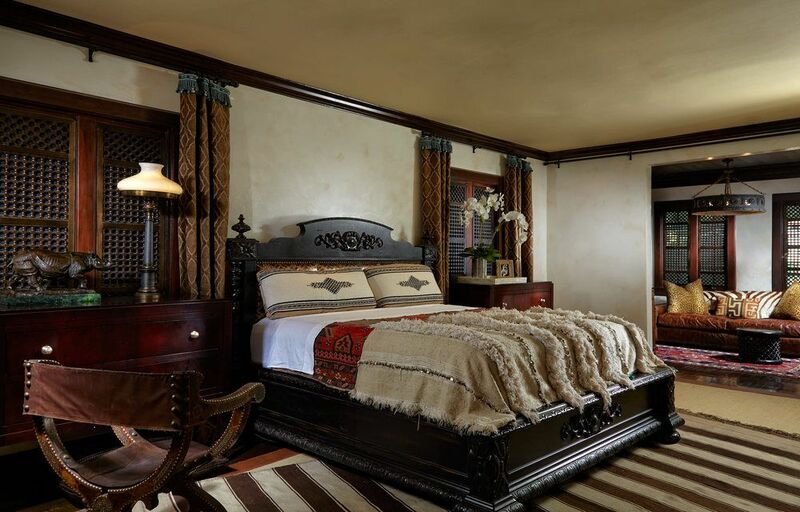 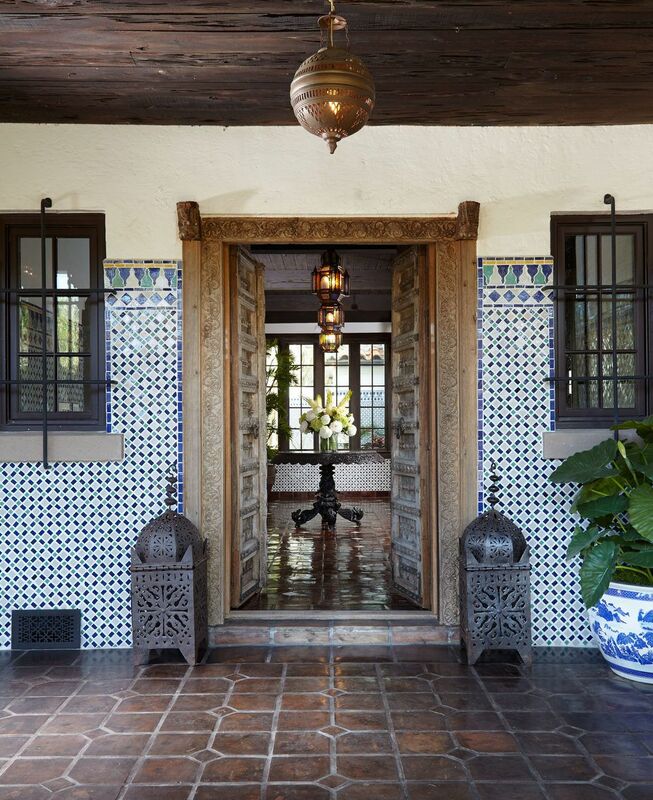 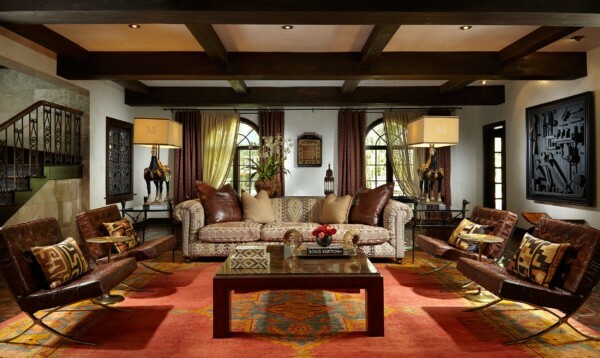 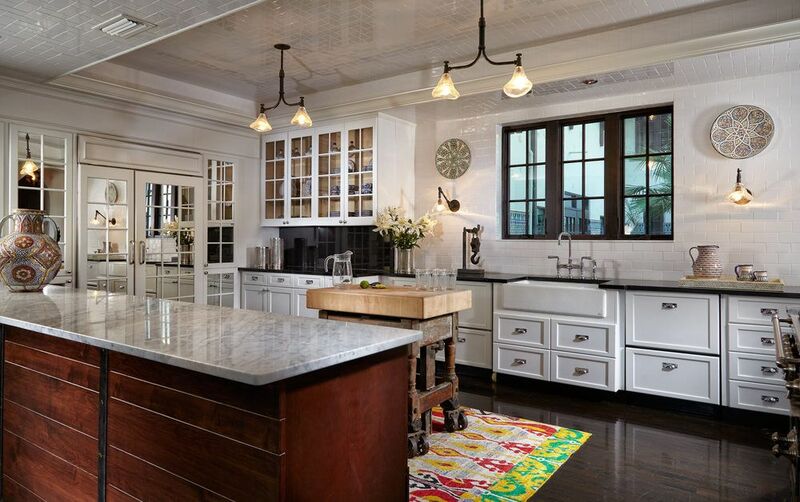 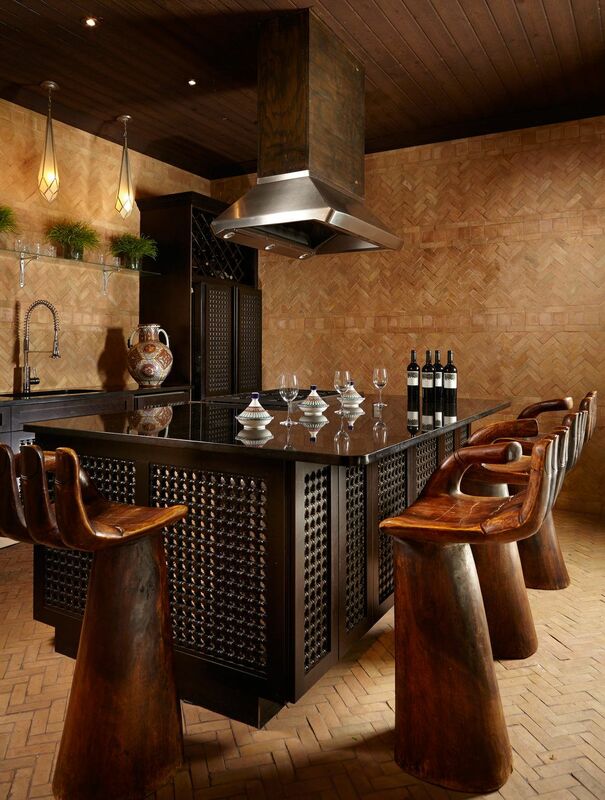 AN EMPHASIS WAS KEPT ON TRADITIONAL SPANISH MATERIALS: LIME PLASTER, INDIGENOUS COQUINA ROCK, CEDAR AND CYPRESS BEAMS, SALTILLO TILES AND WOOD FLOORING LAID IN CLASSIC SPANISH PATTERNS. 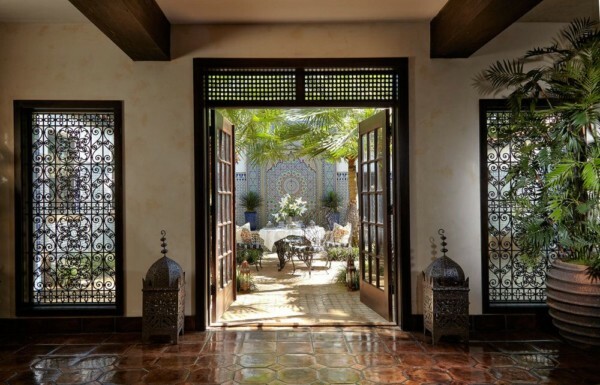 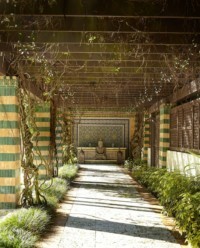 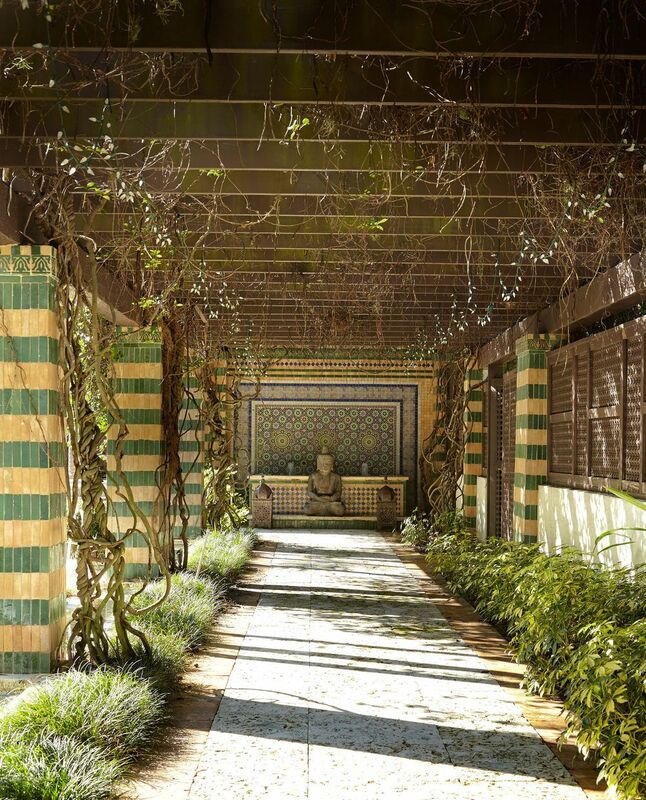 Elements commissioned in Morocco include: hand chiseled and hand painted decorative tiles, mosaics, mosaic borders, terra-cotta, moucharbieh carved wood latticework, and decorative ironwork. 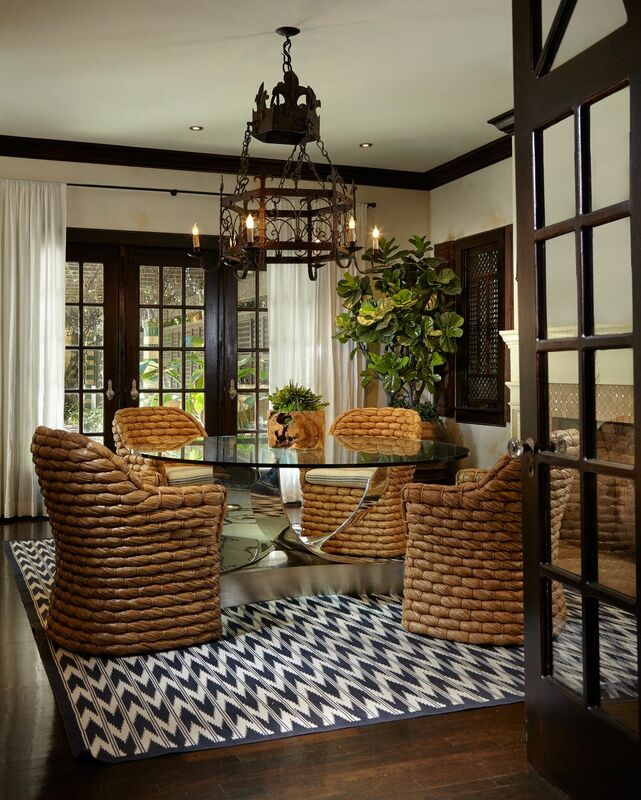 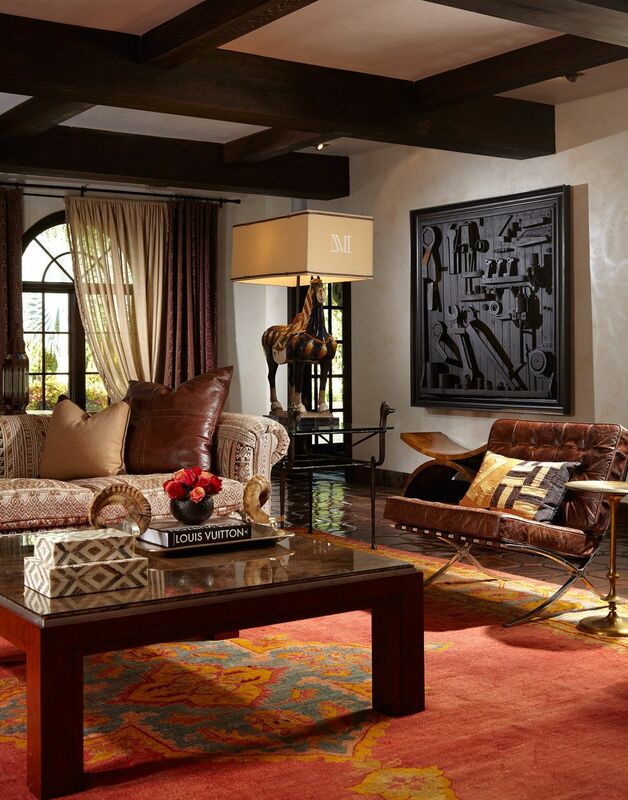 CLASSIC AND EXOTIC MATERIALS, FURNISHINGS AND ACCESSORIES WERE JUXTAPOSED WITH MODERN ELEMENTS TO CREATE PERSONAL, LIVABLE SPACES. 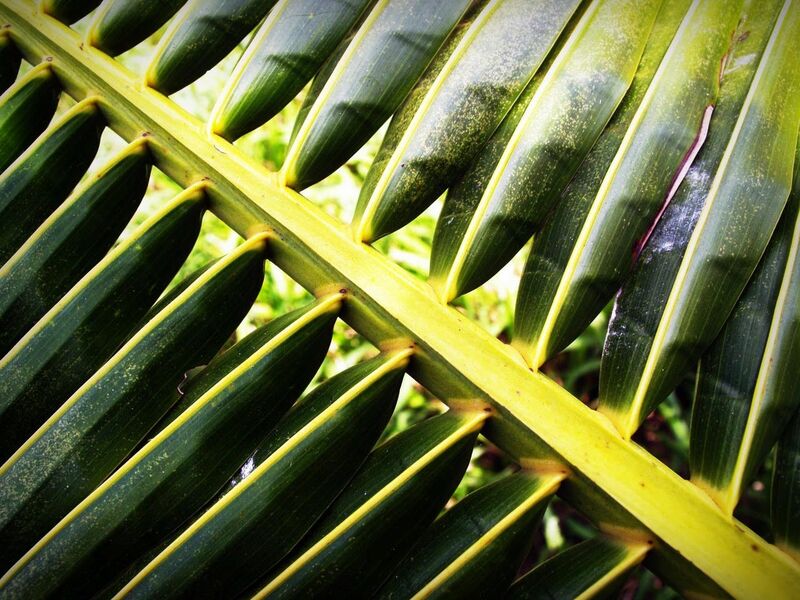 All materials gathered and commissioned, down to the smallest details, were one-of-a-kind and personally selected by Rush in their country of origin to celebrate the hand of man. 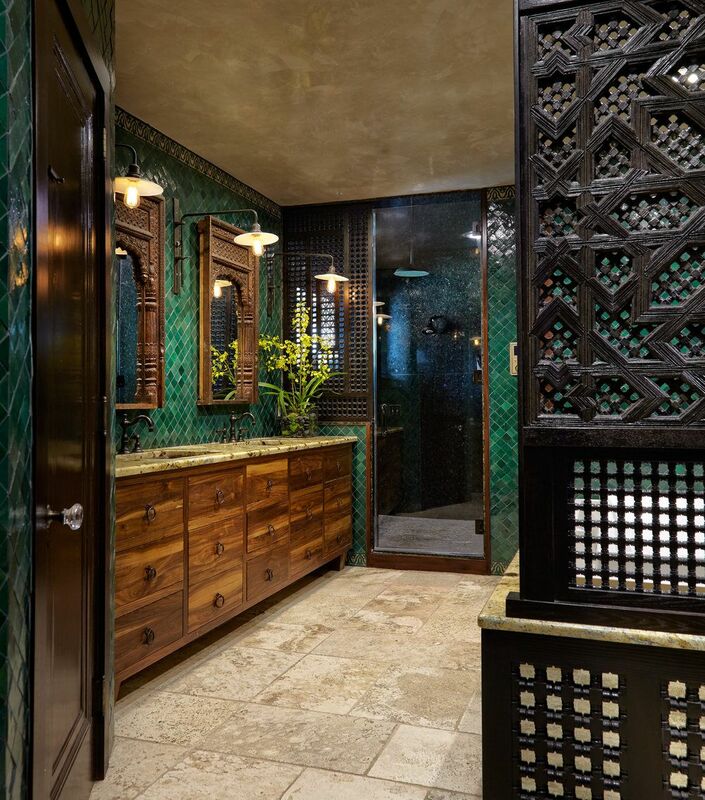 BOTH THE MIX OF MATERIALS AND THE ATTENTION TO DETAIL THROUGHOUT THIS PROJECT TRANSFORMED THE PROPERTY INTO A LANDMARK ESTATE.